This one looks great layered! 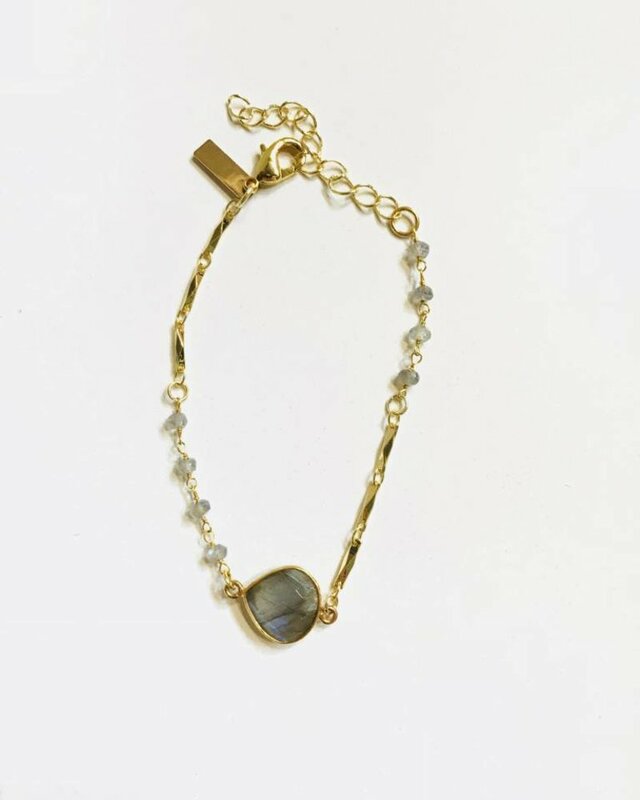 The main stone is Labradorite on a 14k gold filled chain with clasp closure and extension links. 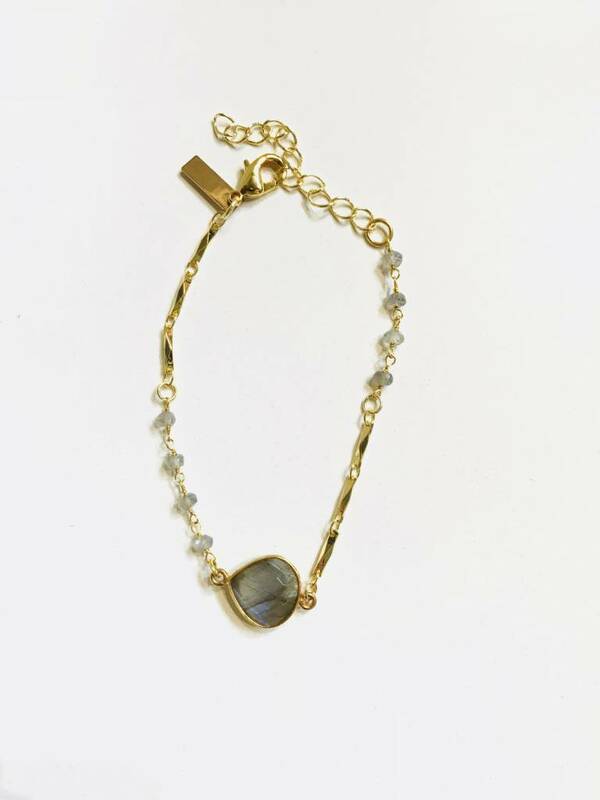 The bracelet also features smaller gem stones to accent the main stone.